Montezuma was founded in 1865 and incorporated shortly afterward, and lies about 5 miles up Montezuma Road from east Keystone along the headwaters of the south fork of the Snake River. Its population reached about 1,000 residents in the height of the mining boom but is less than 100 at present. 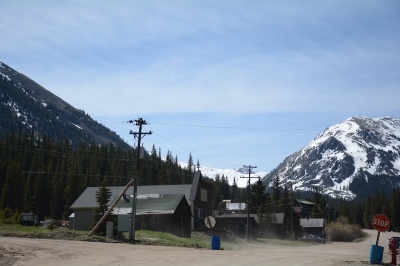 It is situated at the foot of steep and dramatic peaks and is the last point of civilization for 4-wheelers heading over dramatic Webster Pass. Plenty of trails lead from Montezuma, but the town has not developed like the rest of Summit County because its small platted lots are not supplied with town water and sewer and so reliant on alternative methods. Any questions about the available Montezuma homes for sale? We encourage you to contact us to connect with a Breckenridge real estate professional!